Babies are hard. Especially your first. The hardest part about being a parent, for me, is the worrying. I'm constantly worrying if they're eating enough, gaining enough weight, staying healthy...and the list goes on. I will even admit that I've worried about whether my kids are peeing/pooping enough! When you're in the hospital for the first few days the nurses have you monitor everything from how much they eat, to how much they sleep and everything in between to make sure they're healthy and doing well. Because I like to stay organized and on top of things, I continue to log all of these things even after we're home. 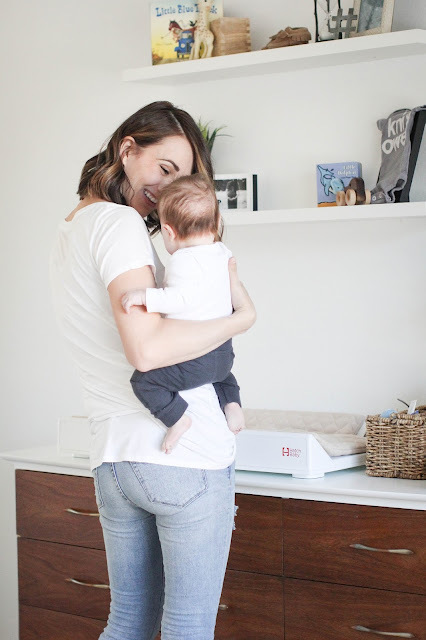 Hatch Baby approached me after I had Knix and I couldn't have been more excited to try out their amazing changing pad. I swear this changing pad, and the app were made for me. 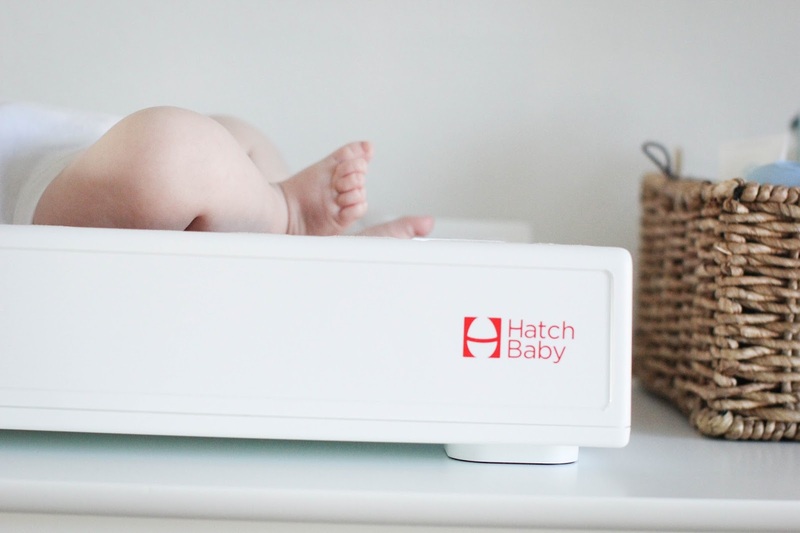 Not only do they log feedings, sleep, and diaper changes, but it also measures the babies weight (super accurately)! It's all in one place, and makes things SO much easier! I know moms always worry about their baby eating enough and gaining enough weight, especially when you're breastfeeding and unsure of exactly how much milk your baby is getting. This amazing changing pad syncs directly to the app on your phone, keeping track of everything you monitor through the pad. It gives me so much reassurance being able to weigh Knix before and after a feeding and see the weight he is gaining. Oh! The app also tells you what percentile your baby is at when it records the weight. I always love that part of his monthly checkups, and now I don't have to wait for them! Another thing I love about the smart changing pad is how pretty it is! Not only does is it making my job easier, it's making Knix's nursery a little cuter, too :) It's so sleek, and they have a few really great color choices for the pad on top. 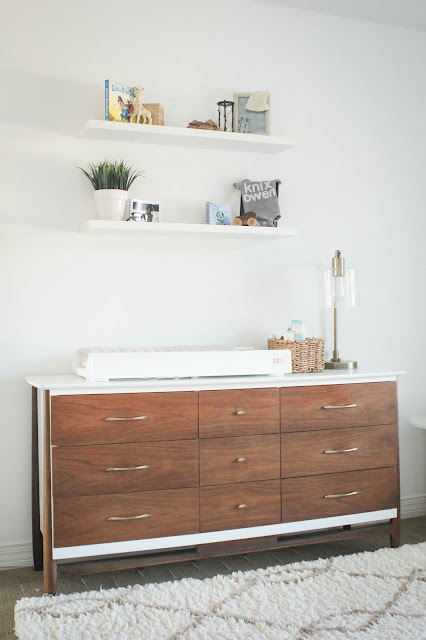 It matched our nursery perfectly! 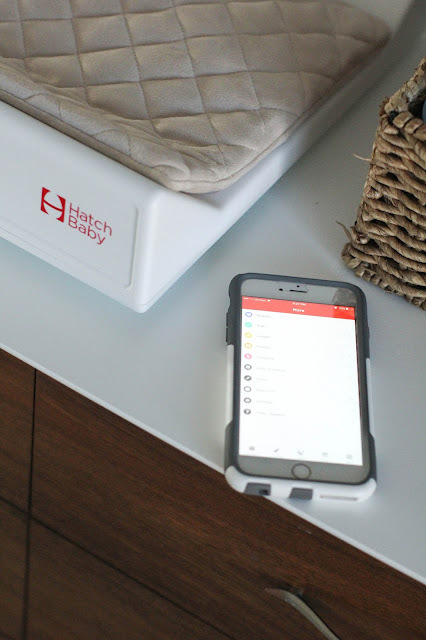 I love all of the functions of the Hatch Baby smart changing pad and have loved implementing it into our daily routine. 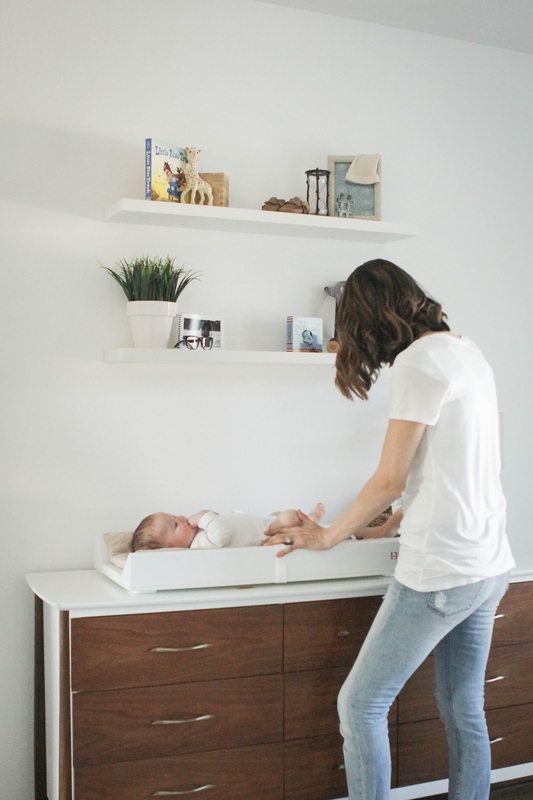 The app and the changing pad both help to keep me more organized and also give me such peace of mind knowing that I can literally see Knix gaining weight right before my eyes. Gosh I love that sweet boy! PS. It's on sale right now! Go quick! Click on this source on xnspy application, if you want to know some interesting news about spyware applications. This makes me wonder if the bottom board isn't only for RF, but it may also add some sort of cipher to the signal as well.Read reviews of about the best baby monitors Thanks!